The importance of protein folding has been recognized for many years. It is the underlying etiology in a large number of human diseases and it appears to be a novel method for cellular regulation of the expression of newly translated proteins. These volumes (Parts A & B) address this important topic. 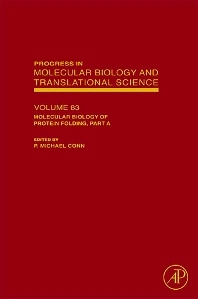 As a volume in Progress in Nucleic Acid Research and Molecular Biology, this book provides the latest information on the expanding research being conducted on protein folding.